This year BIV celebrates its 25th year of service through music to the Broadway community and beyond. The brainchild of founder Michael McElroy, BIV came to fruition during the height of the AIDS crisis when the Broadway community was in need. Public concerts helped raise money for Broadway Cares/Equity Fights AIDS, but, more than that, the music that Michael offered gave healing, hope, and joy to suffering people. In recognizing all that BIV has done, we must honor the man that made the entire quarter-century story possible. This week we recognize Michael and commemorate his 50th birthday. For half of his life, Michael has given his service, his heart, and his immense talent through BIV. So, let’s learn a bit more about the incredible Michael McElroy. When do you remember "service" becoming a conscious part of your life? I grew up in Church that my grandfather started. I was a part of the “First Family”. Service was always a part of our lives. We gave to the church, and part of the church upbringing was giving of your time. My mom was a teacher. Mentorship, teaching, supporting the next generation and belief in giving back was ingrained in me. I played for Sunday school, sang in the choir, played for the choir. I sang at [my grandmother’s political] rallies, banquets, luncheons, protests – any and everything. We, as a family, gave of our time, taking care of others. At 50, what wisdom are you most grateful for attaining? Find the joy. I get to fulfill my dreams and more. I have to constantly strive for balance so that I don’t overcommit and do too much. I thrive on writing lists and being able to cross off what I’ve done. I want to look back at these next 10 years and make sure that everything I’ve done somehow has mentored or supported the next generation, or my art and talent has allowed some other young man of color the ability to know that it is possible for him as well. I want to make a difference through my art. Michael first started singing solos at church when he was 2 or 3 and was drawn to the theatre after seeing a tour of “Porgy and Bess” when he was 8. It was the first time he’d seen people that “looked like me” onstage. Seeing himself represented in the theatre led to a love affair that continues to this day. Beginning on Broadway in 1991 with the newly-opened “Miss Saigon”, and continuing through to the 2017 revival of “Sunday In the Park with George”, Michael has demonstrated his vast performance talents. 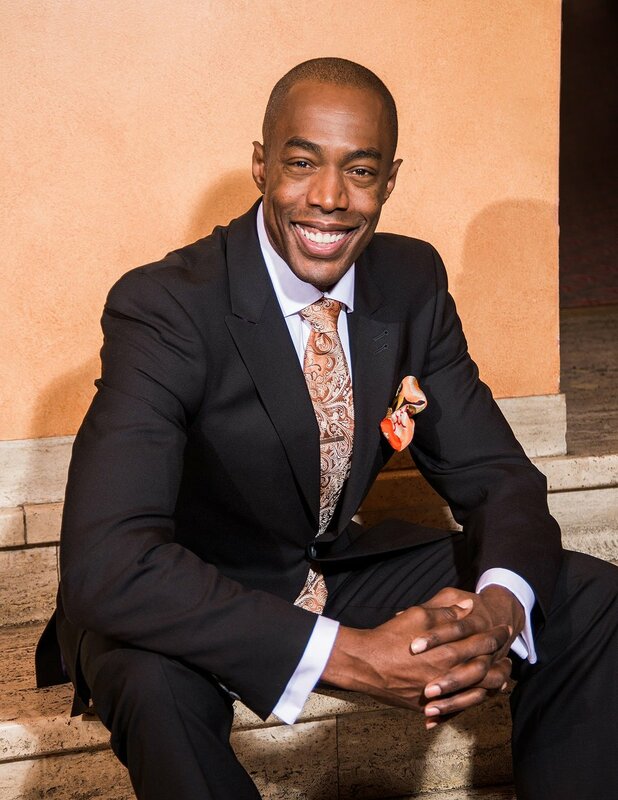 However, bringing his broader musical abilities and love of gospel music to the Broadway community for 25 years has made him an indelible contributor to a generation of performers and audience members alike. We honor you Michael, and the gift that you are to everyone who is touched by your service. Thank you, and HAPPY 50th!